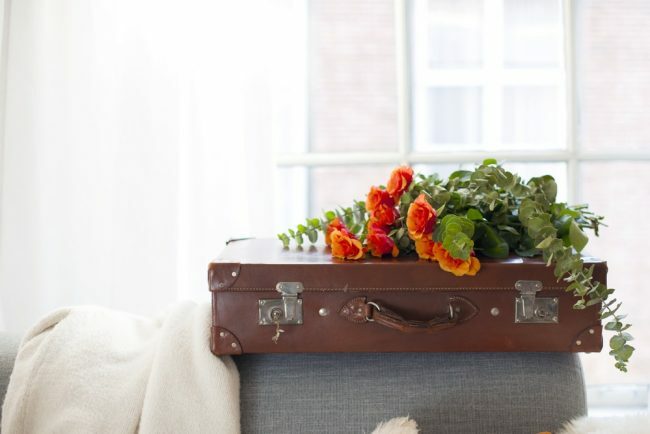 Suitcases are great items to include in your home decorations. Older models, in particular, have a certain charm that many people would like to show off in a creative way. If you’re interested in learning the best methods to decorate using suitcases, the following ideas have great inspirational potential. 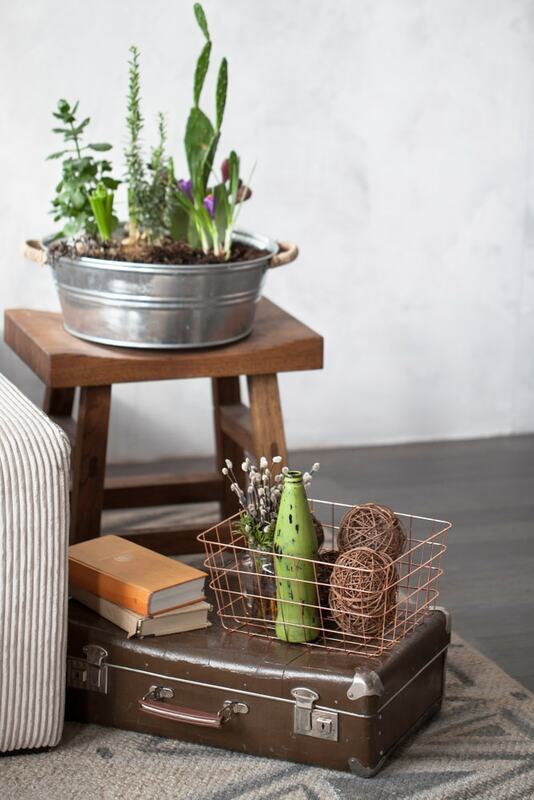 Whether we’re talking about vintage pieces found at the flea market or some suitcases that you have laying around the home, there are lots of ways to reuse them creatively. Finding new uses for old suitcases isn’t hard if you put your creativity to work. 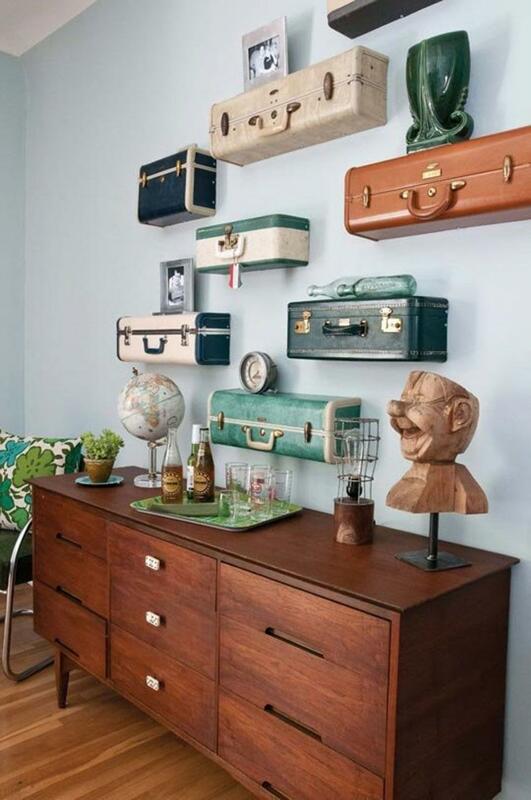 Here’s an innovative way to decorate the wall with suitcases that act as shelves. The light blue color of the wall emphasizes the vintage look of the colorful suitcases. 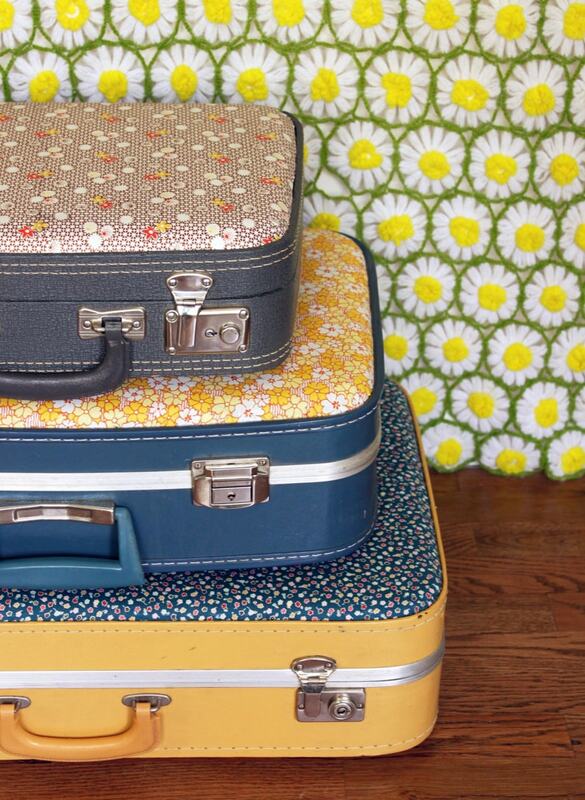 This is a fairly simple DIY idea to try if you happen to have some old suitcases. 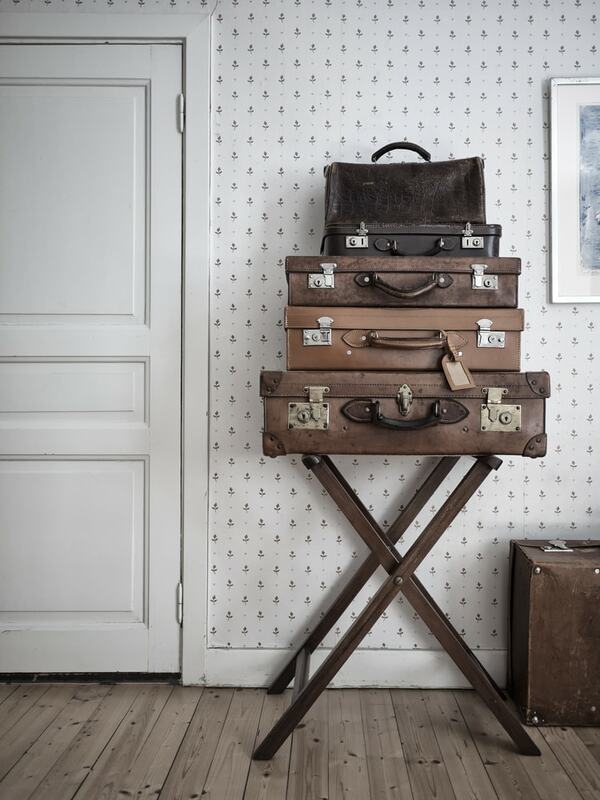 Decorating with suitcases can take many shapes and forms. A unique idea is to make a cabinet from a suitcase. Whether it’s for storing wineglasses or simply to make an artistic statement, suitcases have amazing decorative potential. Finding an old suitcase at the flea market can be an exciting moment. A skilled DIY enthusiast can get this suitcase back into shape and restore its decorative value. 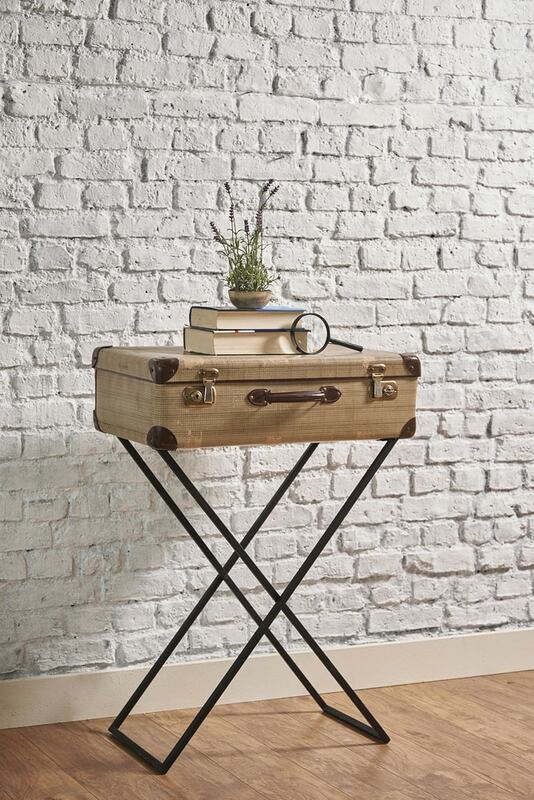 With a bit of cleaning and paint, you can turn the suitcase into a fashionable bedside table. It won’t be just an eye-catching piece in your bedroom, but it can also provide some great storage. You just need to find a good enough stand which has a comfortable height. If creating a proper home bar seems like too much work, perhaps going for a suitcase bar would be more effective. Take a look at this idea which can be a great solution for those with smaller apartments who still want to enjoy the benefits of a bar cart. Finding the right suitcase could be a bit challenging, but then you pretty much only need to add a mirror and clean it up to make some room for your drinks. This DIY project is also an excellent match for fans of retro décor. Suitcases have enough decorative power by themselves. 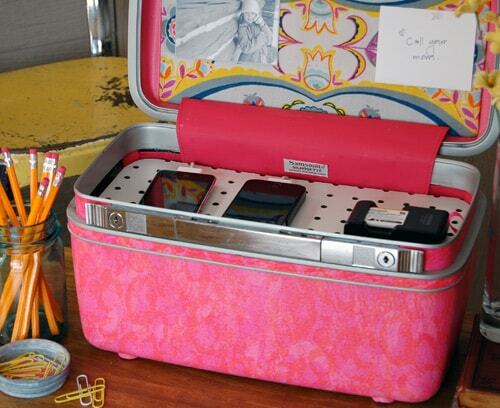 There’s no need to go to incredible lengths and offer an old suitcase a brand new purpose. Sometimes it’s enough to customize the suitcase and use it to fill some empty space in your house. 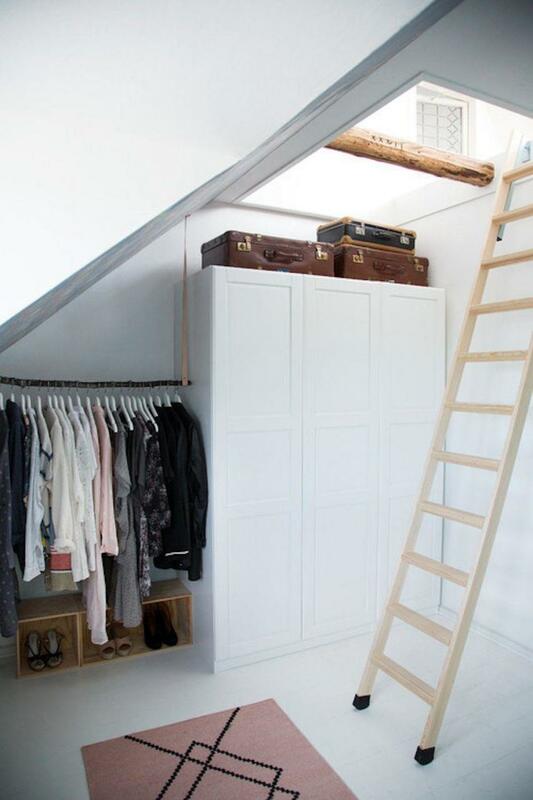 We especially like the idea of placing suitcases on the top of closets for a stylish touch in a Scandinavian-style décor. This otherwise sparse area can easily take advantage of some vintage charm from the suitcases. If you love collecting suitcases and displaying them, the best way to do so is by stacking them on a luggage rack while maintaining a good balance with the rest of the room’s look. Try to stick to the same color scheme when selecting suitcases for a more harmonious effect. You’re sure to obtain a relaxed and collected atmosphere in any living space. Blending style with functionality is entirely possible when it comes to decorating with suitcases. Some people like the plain look of suitcases, especially when it comes to the rugged aesthetic of vintage pieces. 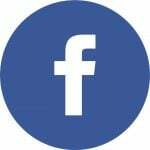 Others prefer a more attractive makeover though. If you’re part of the second category, perhaps you’d understand the appeal of fabric-covered suitcases in colorful patterns. This is a DIY project that makes clever use of coordinating fabrics to add some lovely storage pieces to your home. They have a mainly decorative purpose, but even so, these suitcases can still be very practical to use. As an added bonus, there are hardly any complications to complete the project and the costs are minimal as well. 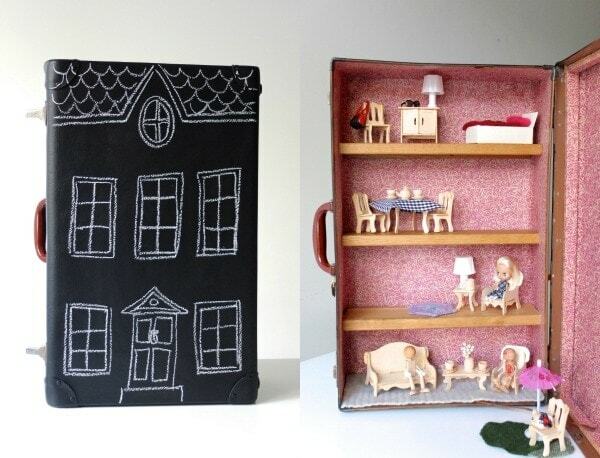 One inspirational idea that can help you create something special is the suitcase dollhouse project. 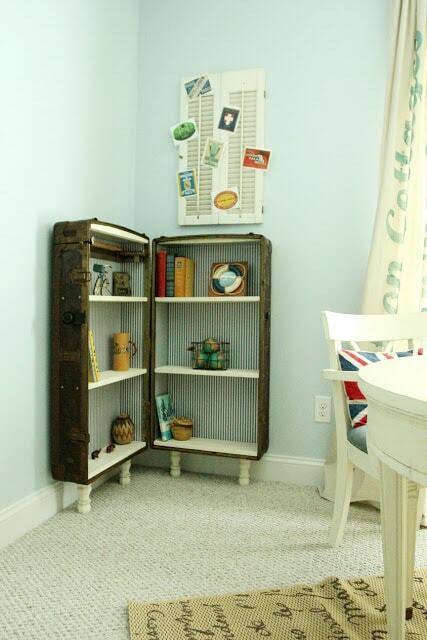 This is an excellent idea to upcycle an old suitcase that’s collecting dust somewhere in the basement. Little girls are sure to appreciate this uniquely-styled dollhouse that can be filled with small furniture. The suitcase dollhouse is a fun and interesting decorative project that will also enable your kids to get creative considering the neat combination of chalkboard paint exterior and wooden shelving inside. If you wish to create a small home office with a vintage flavor, consider a project like a suitcase desk. 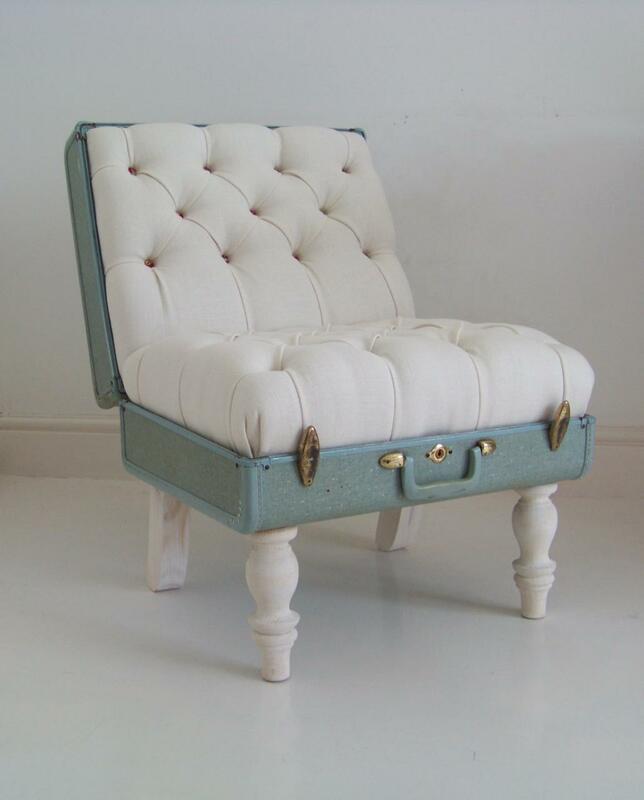 As long as the old suitcase is in good condition, you can transform it into a stylish piece of furniture that’s entirely functional. The more difficult parts will be the table modification and finding a suitable stand to place the suitcase. It’s nice to know that you can always close the lid to keep your office items hidden from view when the desk is not in use. A large trunk can be redesigned to accommodate a small book collection together with your favorite decorations. It’s simply a matter of adding the shelves and giving the suitcase some legs. The interior of an old suitcase might not have a very attractive background, but that can be easily fixed with some charming patterns such as stripes. Another great aspect of this project is how it’s perfectly designed to fill a corner space. 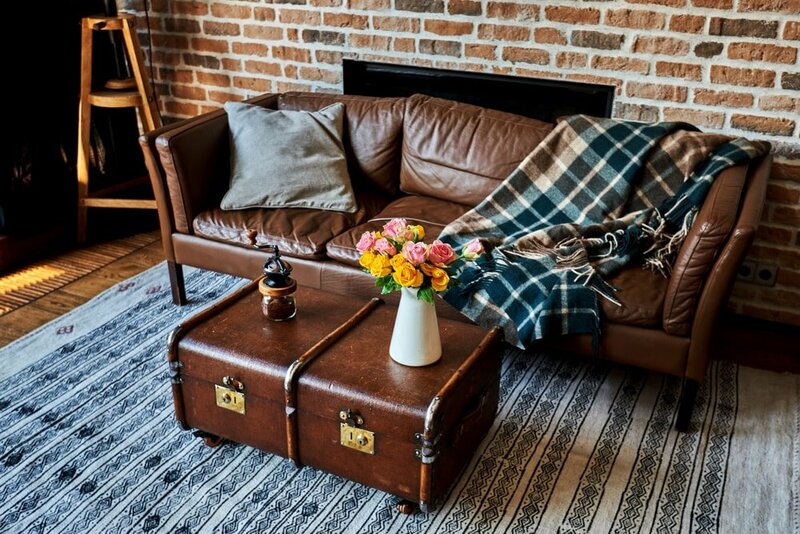 A coffee table with hidden storage represents a cool idea to incorporate an old suitcase into your room décor. It comes with hidden storage and can be an ideal piece to finish off the look in your living room. The only difficult part is installing some nice legs and painting them to match the style of the suitcase. A somewhat unexpected way to decorate a modern home with a suitcase is by transforming it into a charging station for your smartphones and other devices. 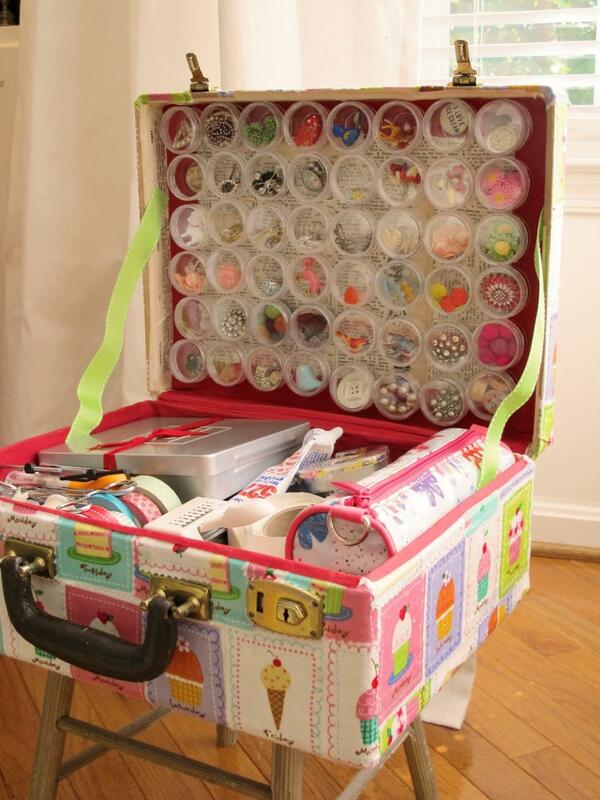 This could be a fun project to try if you have a smaller suitcase. There’s some brilliant aesthetic potential when it comes to decorating the inside of the lid as well as the final polish of the exterior. 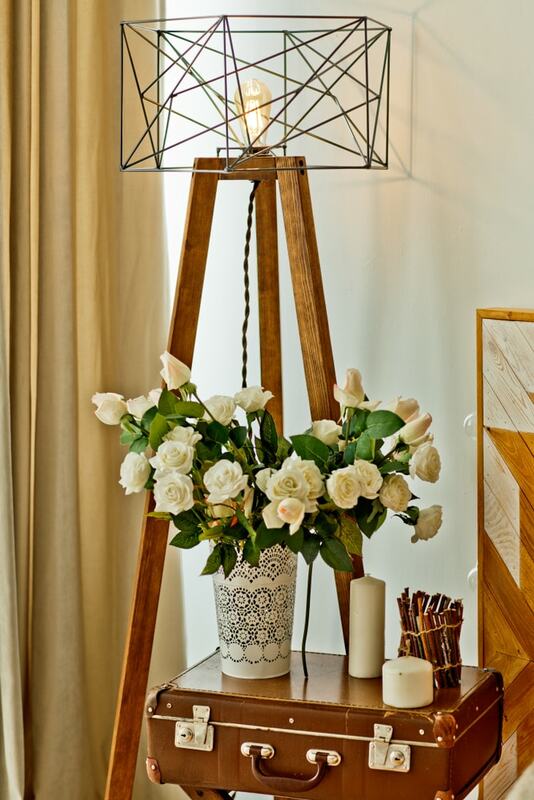 Those who enjoy the combination of repurposed vintage pieces with modern technology will definitely appreciate this DIY idea. Suitcases can be converted into chairs without too much effort. You will need to attach some legs or casters and certain modifications have to be done to create a sitting place. For a cozy chair, you will need to incorporate some soft upholstery. If it’s too much of a hassle to add feet, you can skip this process and use the suitcase just as a backrest. Your pets will be happy to use an upcycled suitcase as a comfortable bed. 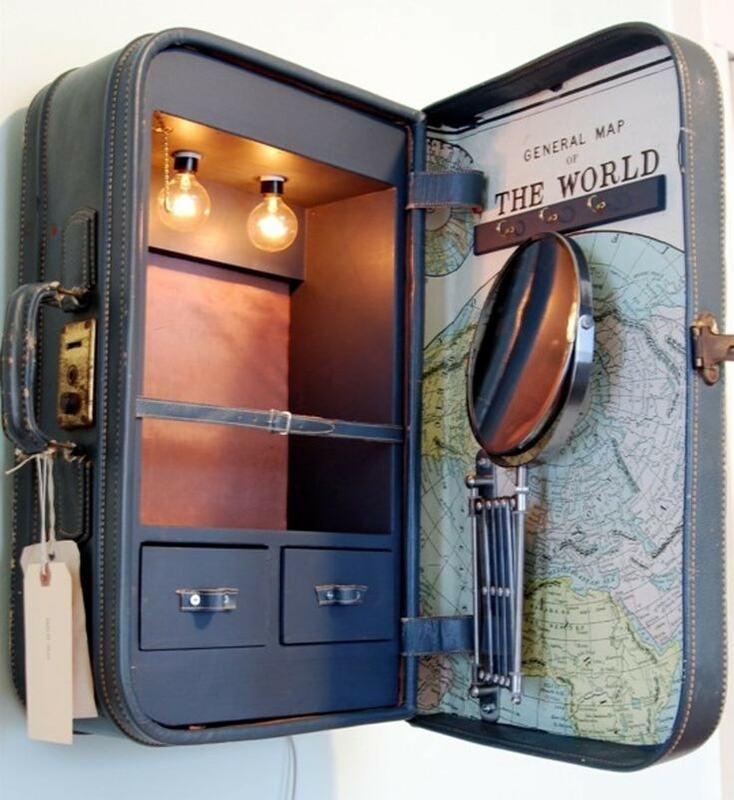 This is a great idea for an old suitcase that you were planning to throw away. Just add a soft mattress inside and some supporting legs outside. 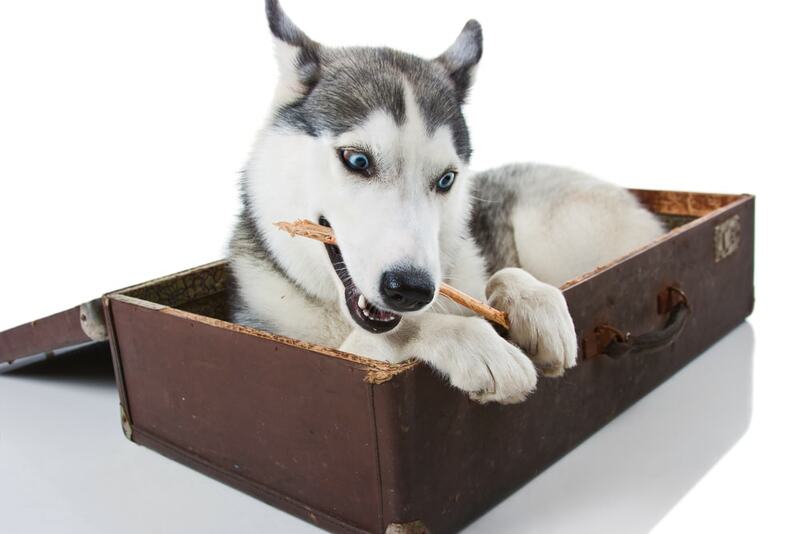 This is a relatively simple DIY project that anyone can try for their pets. DIY enthusiasts know the importance of having a great space to store all of their craft supplies. 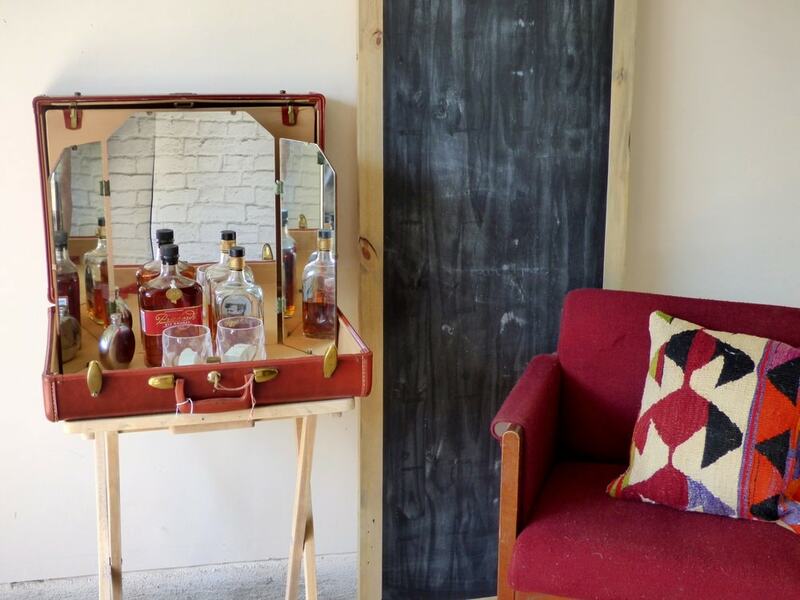 A vintage suitcase can be transformed to suit this purpose. You can use a customized fabric to revitalize the old look of the suitcase with a brand new covering. As for the lining inside, you can also get creative and use whatever decorative styles and patterns you prefer. By gluing some powerful magnets you can also attach metallic supplies in a more hassle-free manner enabling you to stay organized.